This was the scene at dinner last night. 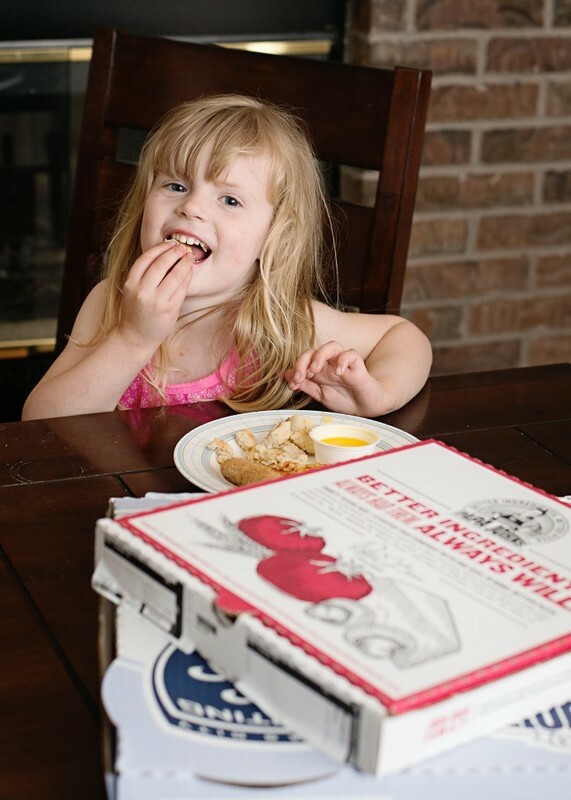 Little fingers digging into the Papa Johns breadstick and pizza boxes before even having a chance to set them down. My family was starving after a long, fun filled Saturday of playing outside, doing yard work and running errands. It’s days like these when the weekends are crazier than the long week at work and school. Every week, we like to designate one weekend day for pizza. Our weekends are never really planned, but always seem to fill up with hours of time outside and doing other things. It’s days like those when I just need a break from cooking and can rely on Papa Johns to bring us a better pizza with better ingredients. 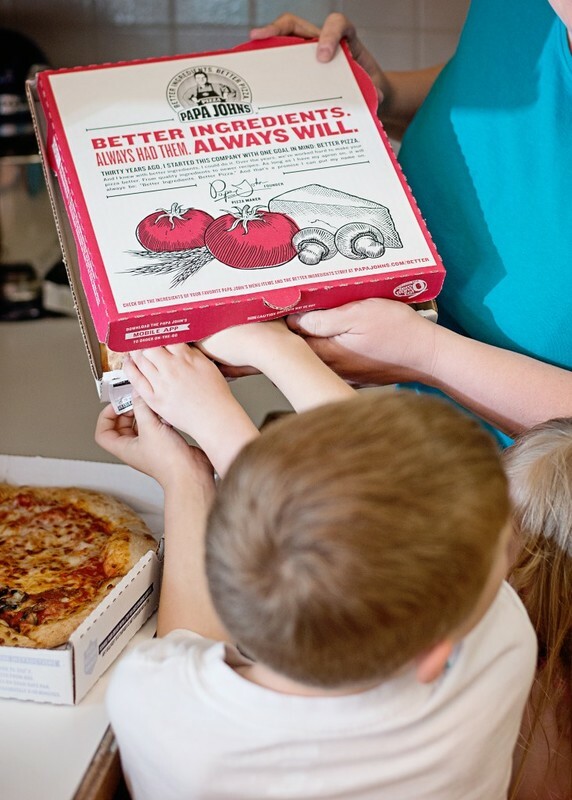 Each of us all love different things from Papa Johns. 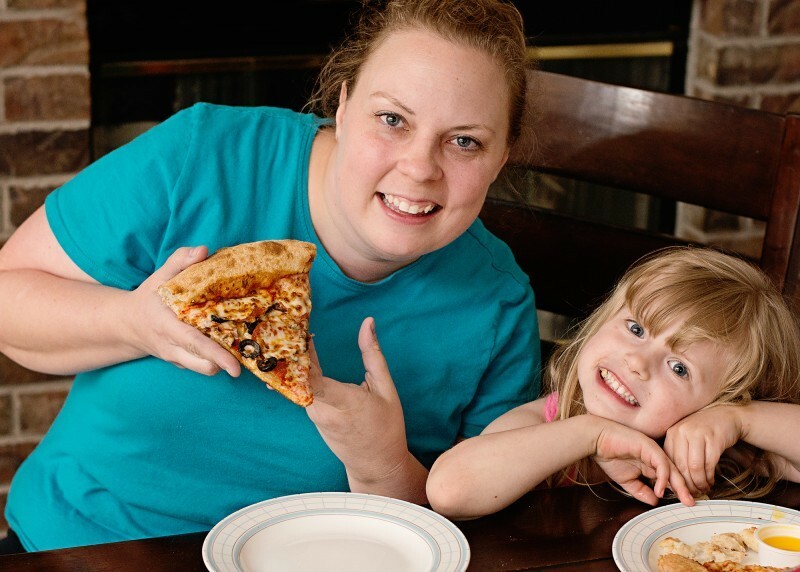 My kids are obsessed with their breadsticks and my husband and I love their fresh toppings. Do you know how fresh the toppings are? 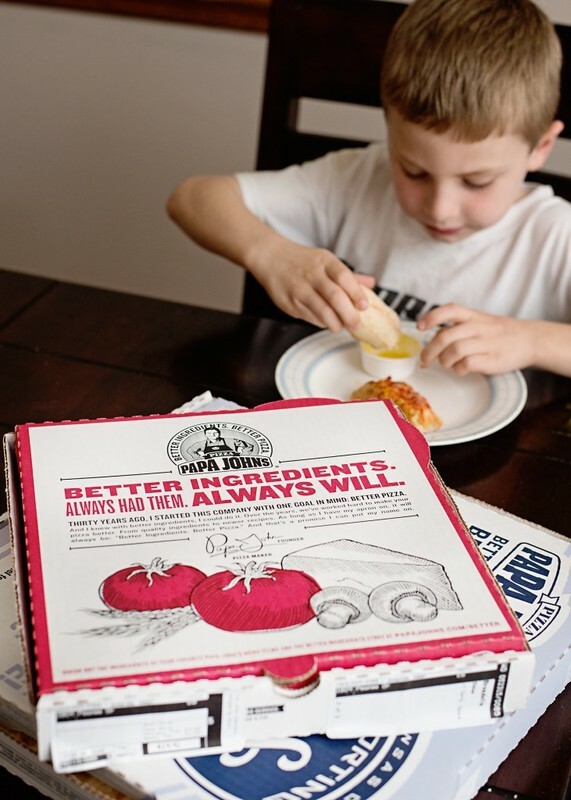 Papa Johns doesn’t use cheap and processed ingredients, they invest in their ingredients to ensure that we always receive the best quality pizza. For instance, the signature sauce is made from vine-ripened tomatoes from central California and the pepperoncini peppers are grown and sourced from the Mediterranean region. 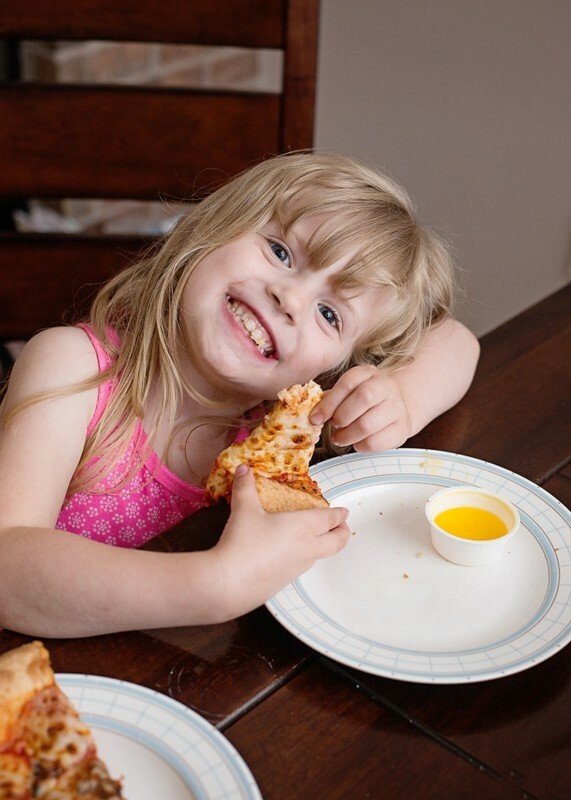 My kids adore the Papa Johns breadsticks and the garlic butter dipping sauce. Who can blame them? Their special recipe with a signature blend of oil and spices are the perfect compliment to a Papa Johns pizza. For me, it’s not just a better pizza. It’s a great meal that I can sit down and enjoy with my family. We all love pizza and when I choose to take a break from my regular menu, I love that we can rely on Papa Johns to give us a better pizza. Fresh ingredients really do make all the difference.